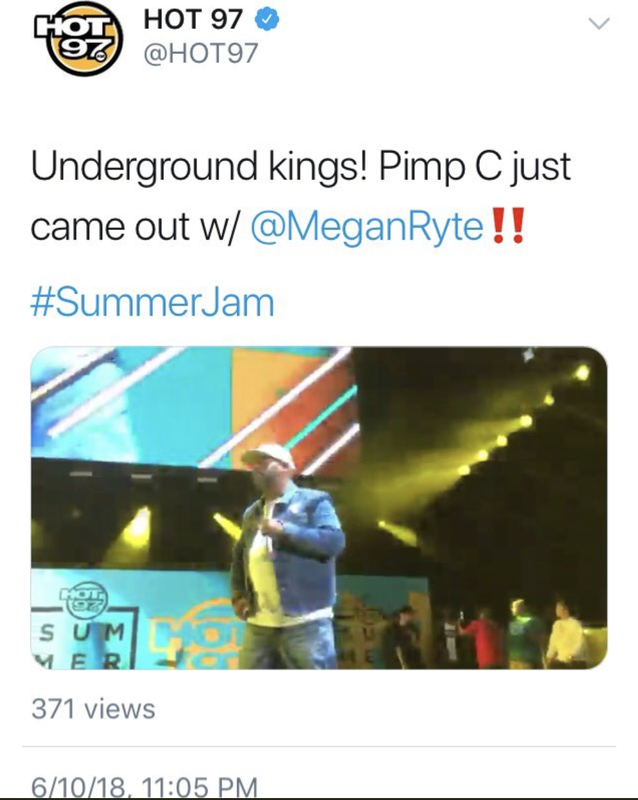 Last night Hot 97 Tweeted Underground Kings rapper Pimp C was on stage at Summer Jam with Megan Ryte. 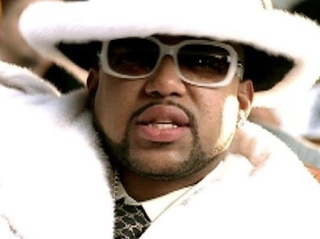 The problem is Pimp C has been dead for 11 years! 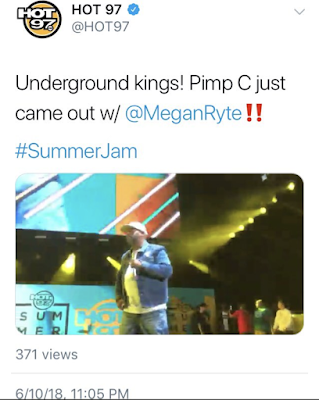 It was actually UGK rapper Bun B on stage with Megan. 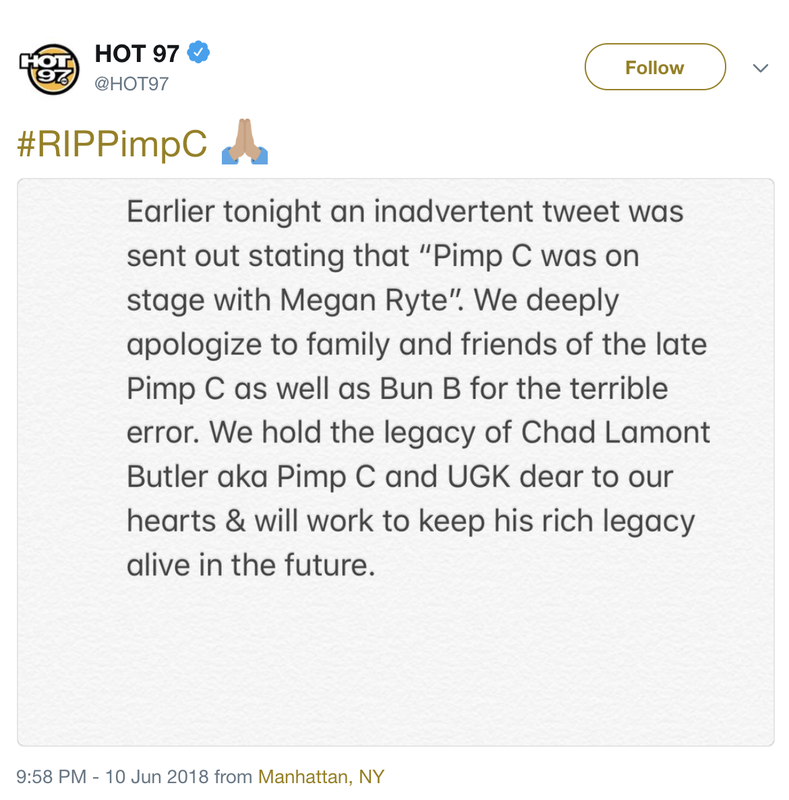 The Tweet was quickly deleted and Hot 97 issued an apology. 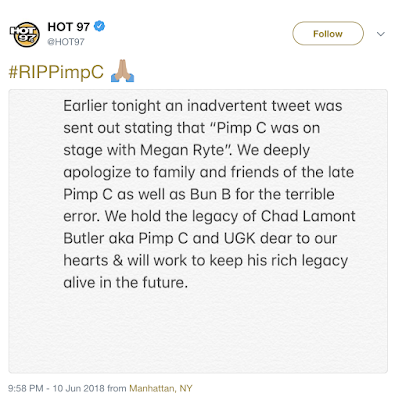 That was real dumb, especially for hot 97. Charlemagne needs to give them Donkey of the day for this one. Fail. It got them attention. Most people wouldn’t know summerjam still exists.